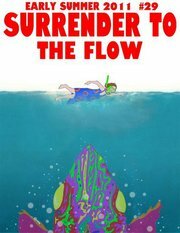 Meghan Oona featured in Surrender to the Flow! 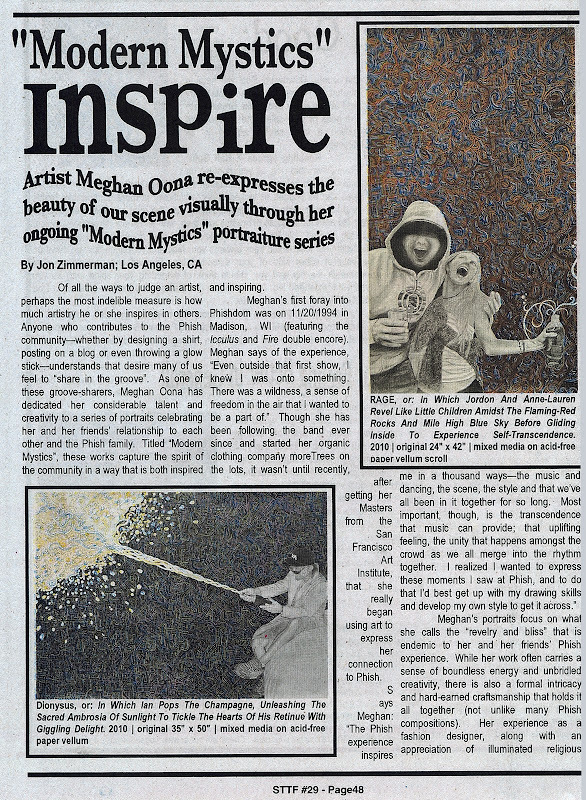 So honored for this feature in the 29th issue of STTF! Many thanks to Jonathan Zimmerman and Christy for making it happen. 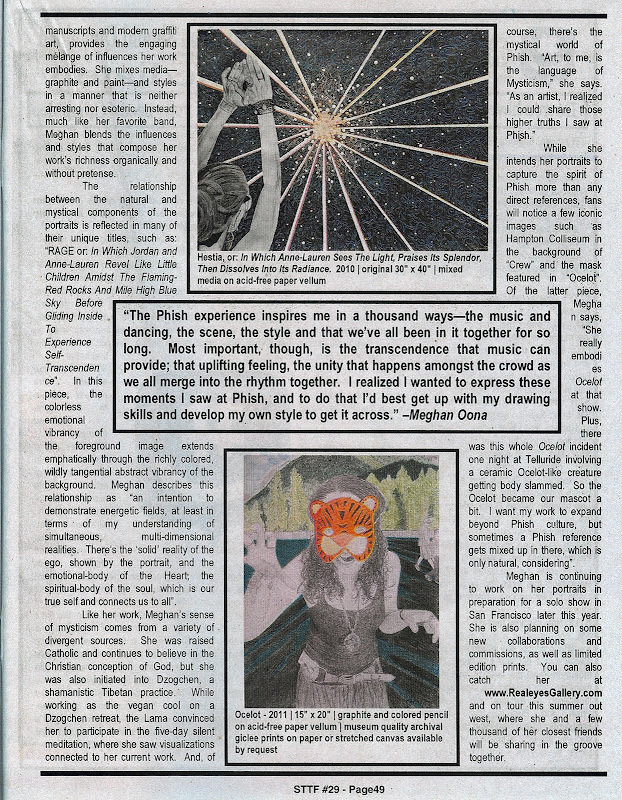 Also thanks to Phish, my many muses, and friends for sharing their photographs. To read the story behind the featured pieces, visit: Dionysis, Hestia, RAGE, and Ocelot. And check out my updated website for the full spread of all Illuminated Portraiture. I love these pieces! Such amazing work… Beautifully written as well! Nice work! I was super xcited when I saw this!!! Kudos Hunnybear!